Fish, not trash, should swim! June 8th is World Oceans Day, an annual celebration to honor and conserve a healthy world ocean. Oceans make the planet blue. Oceans interconnect with everything. Oceans belong to everyone. Yet, careless actions of individuals affect ocean life. Humans discard plastic bottles, electronics, metal cans, and food wrappers. When this trash makes its way into marine environments, it’s termed marine debris. 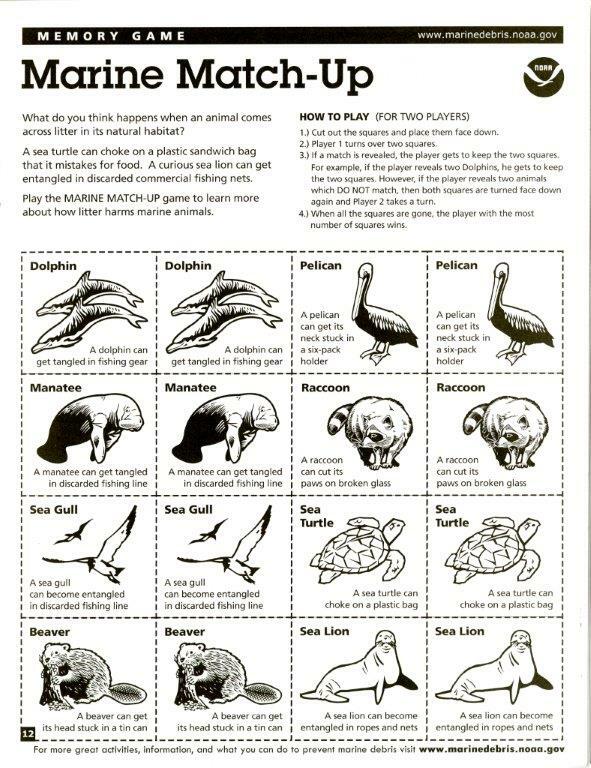 The National Oceanic and Atmospheric Administration (NOAA) asserts that “wildlife entanglement and ingestion, economic costs, and habitat damage are some impacts of marine debris.” To counter this worrying trend, NOAA’s Marine Debris Program developed Understanding Marine Debris: Games & Activities for Kids of All Ages, Marine Debris 101, a games and activities booklet, to help kids take action against marine debris. Marine Debris Maze—Getting to the Trash Can. The most sobering page (but still fun—promise!) is the marine match-up memory game. It shows what happens to marine animals when they encounter litter. A dolphin can get tangled in fishing gear. A sea turtle can choke on a plastic bag. A sea lion can become entangled in discarded ropes and nets. It won’t be hard for kids to realize that cute animals and their underwater habitat are toxified by everyday garbage. Although this activity booklet targets kids, it delivers a ton of reminders for adults, too. Think twice before littering. Get involved in community-based clean-ups. If individual actions contribute to dangerous marine debris accumulation, then it will take individual actions to undo it. 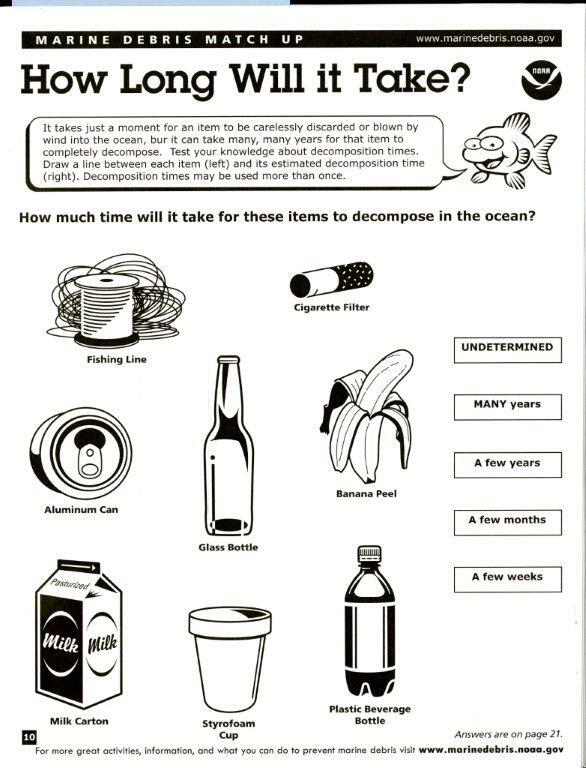 Because the world ocean is not a dumping ground. This entry was posted on Wednesday, June 8th, 2016 at 10:07 am and is filed under Children, Environment, NOAA. You can follow any responses to this entry through the RSS 2.0 feed. You can leave a response, or trackback from your own site.